There are no scratches on the outside of this car, but the vehicle is totaled. 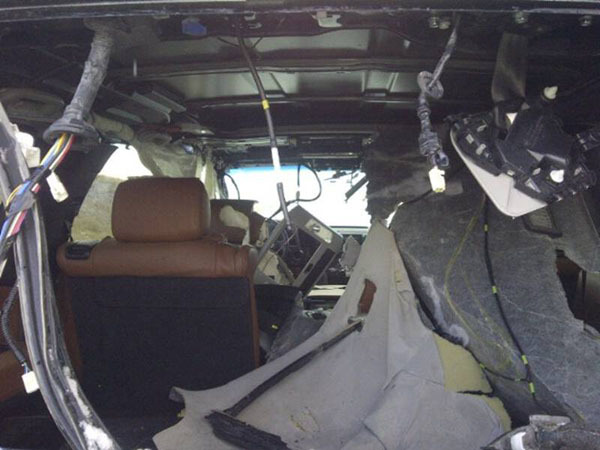 The Toyota was a platinum edition, all the door panels were ripped off, the headliner torn to pieces, all headrests, the leather seats, the dash shredded. 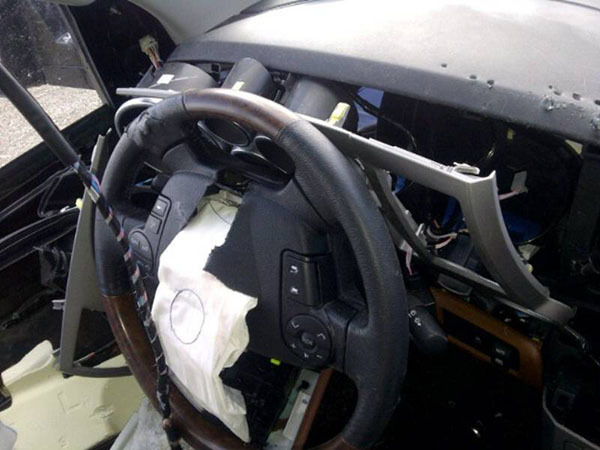 The steering column was twisted sideways. 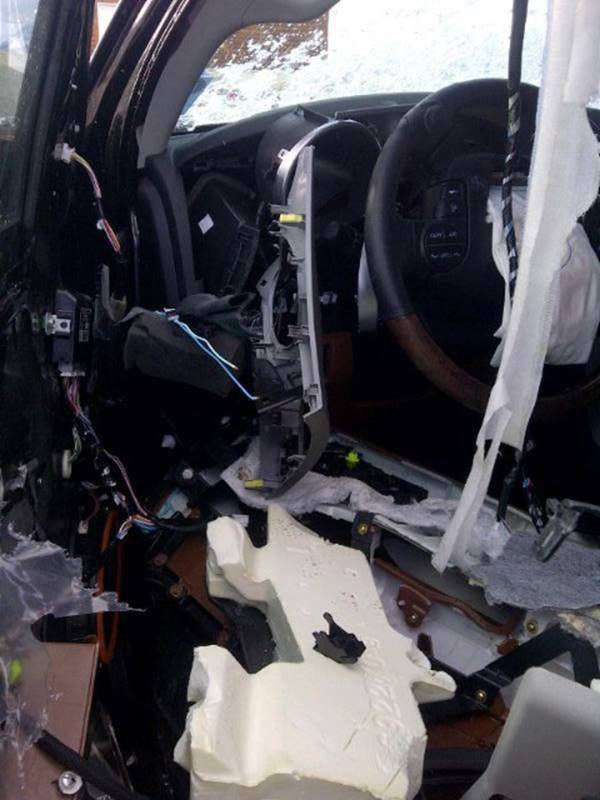 Two of the six airbags went off, the other four the bear ripped to pieces. 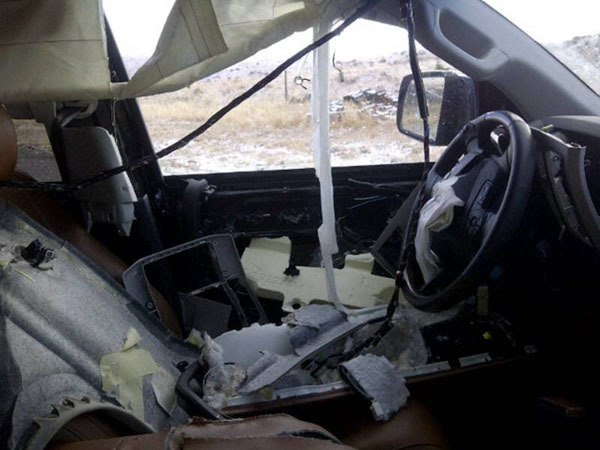 You can imagine a trapped grizzly being hit with an airbag in an enclosed space! He must have figured he was in for the fight of his life ...and by the looks of this car, he won the fight. 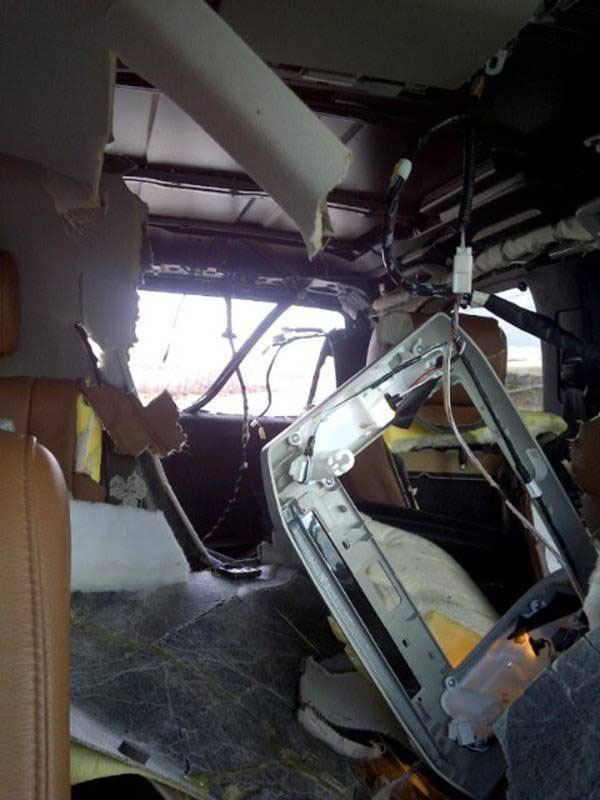 When the bear ripped off the door panels he also clawed all the wiring harnesses out. 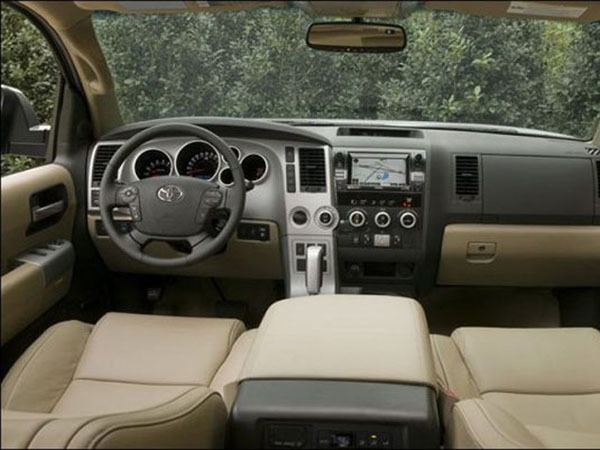 Toyota figures every wire he pulled or clawed at resulted in alarm bells, voices or sparks. The head mechanic at Calgary Toyota doubted if they had the expertise to put this vehicle back together, even if they had enough parts to do it. And, to add insult to injury, the bear took a big dump in the back of the SUV ....and then broke out the rear window. Fish and wildlife officers have inspected the damage and figure it was a 3 year old Griz. From blood left behind they are doing DNA. The vehicle has been written off by the insurance company. The cost new was over $70,000, and they stopped counting repair costs at $60,000+.